You’re upping your servings of fruits and vegetables and substituting healthy fat (extra virgin olive oil, avocados) for unhealthy fats, aka trans fat (margarine, hydrogenated oils). You’ve also cut out that second serving of dessert and traded your favorite potato chips for a handful of almonds. What else can you do to cut calories and fat from your diet? 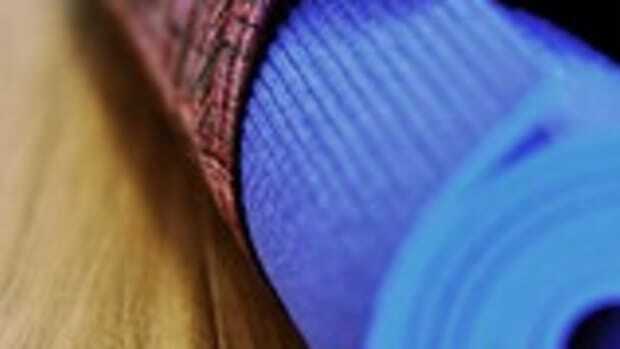 How about taking a closer look at that wonder of all wonders, sliced bread. Your typical sandwich bread has anywhere from 60 calories to 150 calories or so and a bagel will often add 200+ calories to your day. (Of course that 60-calorie “light” bread is pretty useless. 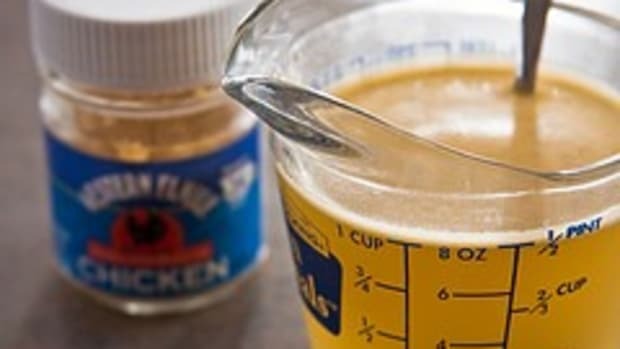 Ever try spreading anything other than room-temperature butter on it? Good luck with that!) Whole-grain tortillas are a better option but not every sandwich translates into a wrap. The good news is you have options. The better news is they are really tasty options. I recently discovered Oroweat Sandwich Thins (thanks to an impulse buy) and Thomas’ Bagel Thins (thanks to a good friend) and both products are a huge hit with my family. 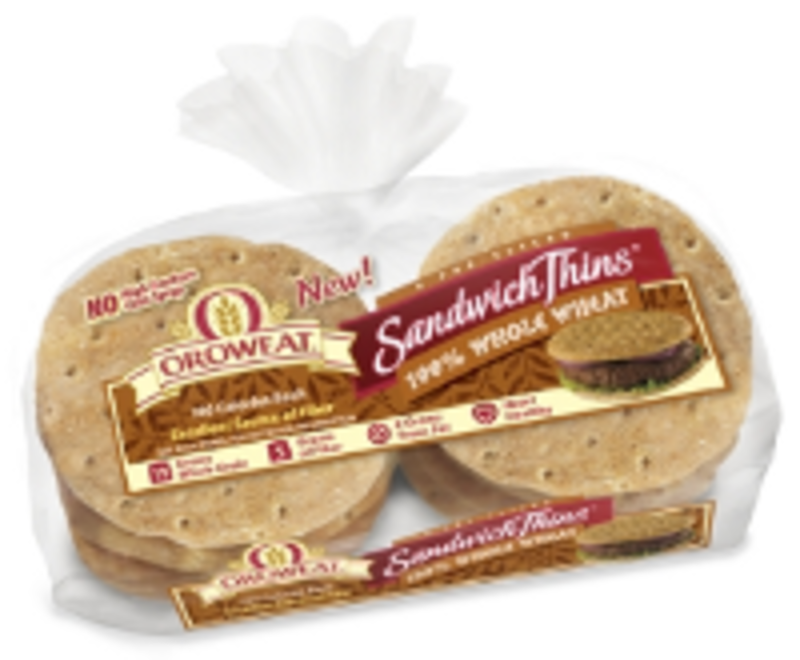 Oroweat Sandwich Thins are about 100 calories a piece and have 5 grams of fiber. They come pre-sliced; simply separate and throw in your favorite sandwich fixings. Better yet, do what we do and turn each half into a mini thin-crust pizza topped with marinara, a little low-fat cheese and some pineapple (or a slice or two of turkey pepperoni). As for bagels, I love a good bagel—cinnamon, Asiago cheese, you name it—but can’t stomach the high calories. 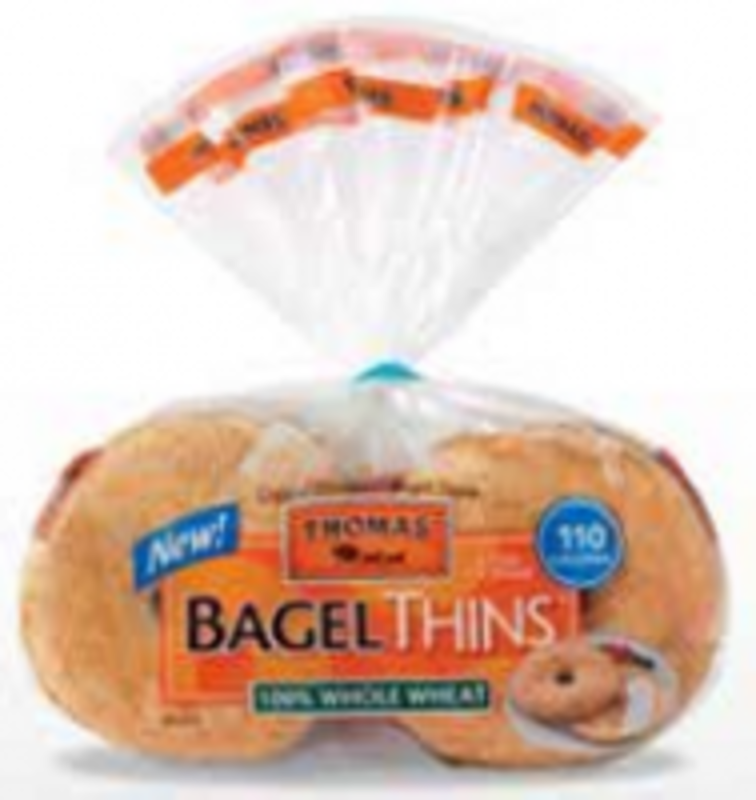 Thomas Bagel Thins are 110 calories a piece, and though definitely thinner than your typical bagel, they are still big on flavor. You can toast and top with low-fat cream cheese or do what I do and use them for sandwiches. My favorite? Toasting a 100% Whole Wheat Bagel Thing, spreading a thin layer of low-fat mayo and topping with deli-sliced turkey and spinach leaves. Yum! This is no product review, believe you me. I tried both Oroweat Sandwich Thins and Thomas’ Bagel Thins of my own free will and choice and I’m here to say these babies are a quick-and-easy (and super tasty) way to slim down your sandwiches and cut a few calories from your diet. If you substitute either one for your morning toast, sandwich and late-night snack (I love toast late at night! ), then you’ll cut out a good 300 calories or more from your day. Oh, and both sites have some really delicious recipes, many of them super healthy too! And the mini pizza thing is a hit with the kids. If you let them decorate their own whole-wheat Sandwich Thins they’ll won’t think twice about their being good for them! (Buy them at Costco and keep an extra pack in the freezer!) With how great both the Sandwich Thins and Bagel Thins taste, you might forget they’re healthy too. Nice! Images by Oroweat and Thomas’. 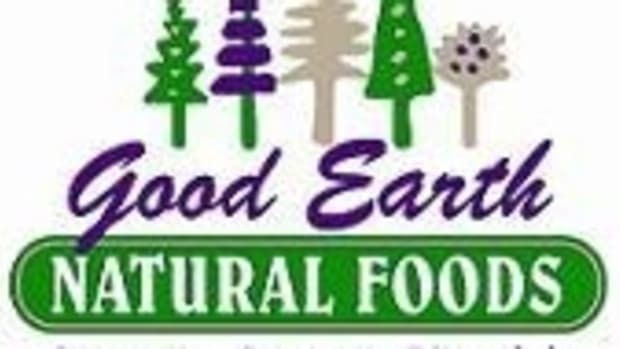 Now that you’re going all natural and buying local, let’s see how we can get fit by retrofitting your pantry. 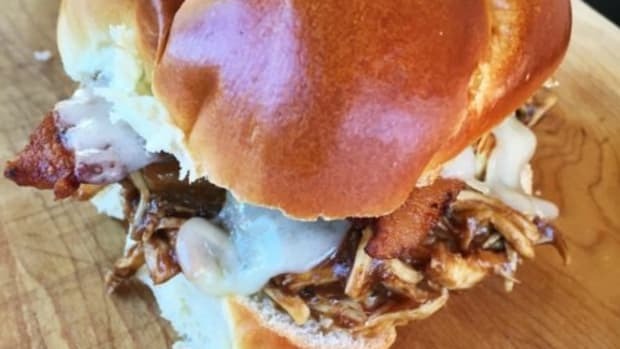 Are you ready to whip up a delicious sandwich without breaking a sweat?! ME TOO! 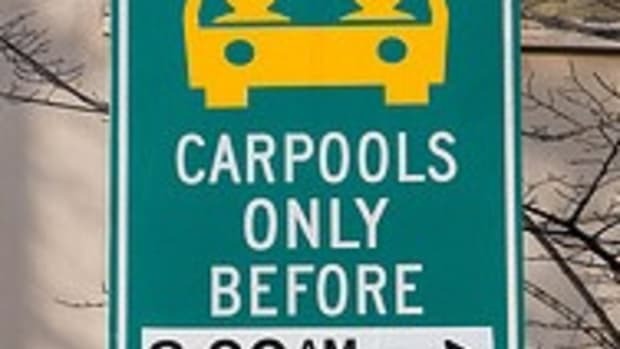 Try some calisthenics while you carpool. Hello. My name is Emily Hill and I’m an extremely busy, sleep-deprived mother of four. Don't let this girl scare you. She's ten pounds down and before you know it, you can be too!